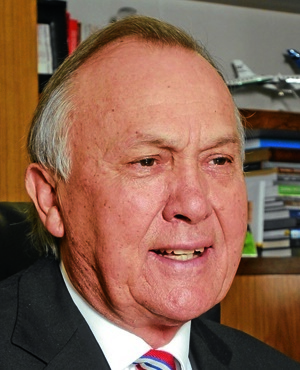 Cape Town - Companies in Christo Wiese’s Titan Group announced on Thursday they are suing embattled retailer Steinhoff for R59bn. The claims relate to investments made by Wiese’s companies in Steinhoff in 2015 and 2016, according to a statement issued by the Titan Group. Companies that make up the group are claiming cancellation of an agreement entered into with Steinhoff in 2015. “Titan Group subscribed for shares in Steinhoff following the acquisition of Pepkor Limited from the shareholders of Pepkor. They now claim repayment of the subscription amount,” the statement read. Steinhoff, in a short statement on Thursday evening, said it would "assess the claims and determine the appropriate course of action". Wiese resigned as Steinhoff's chair in mid-December 2017, nine days after the group's CEO Markus Jooste stepped down amid an accounting scandal. The Titan Group said that, as part of their summons letter, attorneys acting for Wiese also argued that Steinhoff should be restructured. The group said that, in Wiese's view, Steinhoff still owned "some excellent businesses most of which Steinhoff acquired from Pepkor in 2015". “In a restructured Steinhoff, these businesses have every potential of continuing to create value for all shareholders and claimants,” said Wiese, according to the statement. Wiese said his group was prepared to work with other claimants and shareholders to "ensure that Steinhoff remains and continues as a sustainable company". On Friday Steinhoff's new chair Heather Sonn, speaking at the groups Annual General Meeting, said the Steinhoff group was looking at instituting a "feasible and implementable" restructuring. Steinhoff, which has been suffering from tight liquidity since its share price plunged in December, is set to hold a formal lenders meeting in May to discuss the plan. Steinhoff acquired Pepkor Holdings for around R60bn in2015. As Fin24 previously reported, it was paid for via the “issue of 839 million new Steinhoff shares at R57 per share and R15 billion cash,” according to a November 2014 presentation. This meant that Wiese, at a stroke, became one of Steinhoff’s largest shareholders, although the value of his shares have fallen sharply in line with the groups share price decline. Steinhoff shares were trading at R1.90 at 16:40 on Thursday, down 15% on the day.